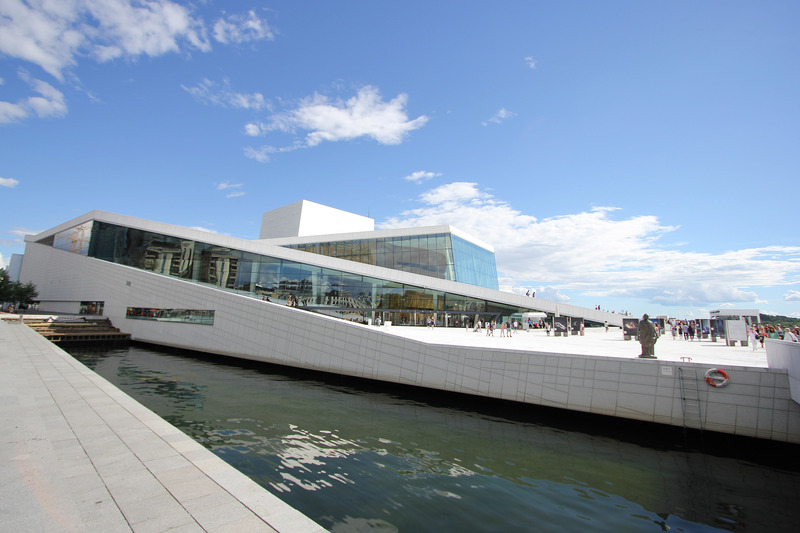 Oslo Opera House is an iconic building. It probably better known for its roof than for anything else, because you can walk onto it and then walk up it. You don’t need to queue, or pay, or book. It is a beautiful building. 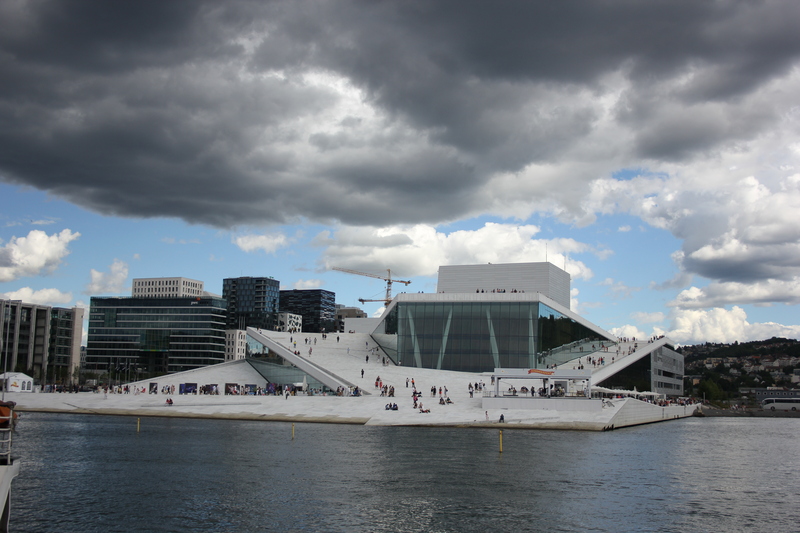 Look at it here – a white granite iceberg against the dark clouds – I think there was some Wagner in the air above the Opera House when I took this photo! 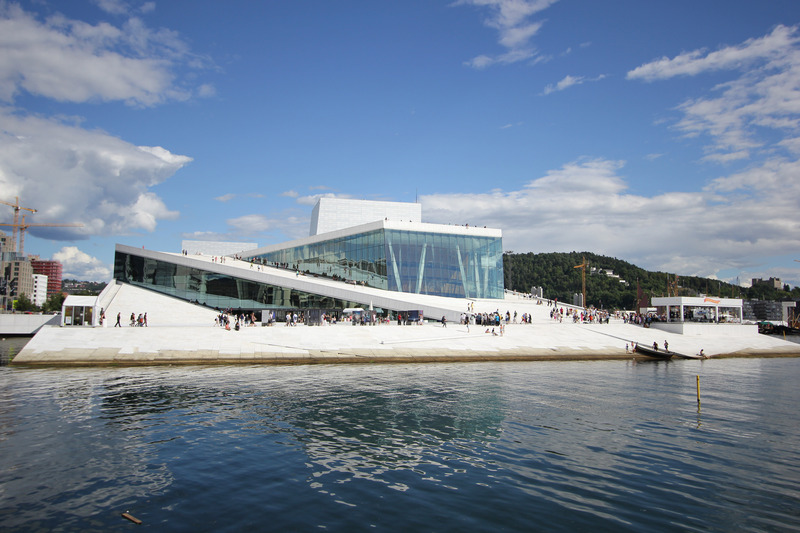 And when the sun came out and the clouds departed for wetter climbs, well – then the Opera House was even more stunning. We walked onto the bottom section and started to make our way up the landward side. 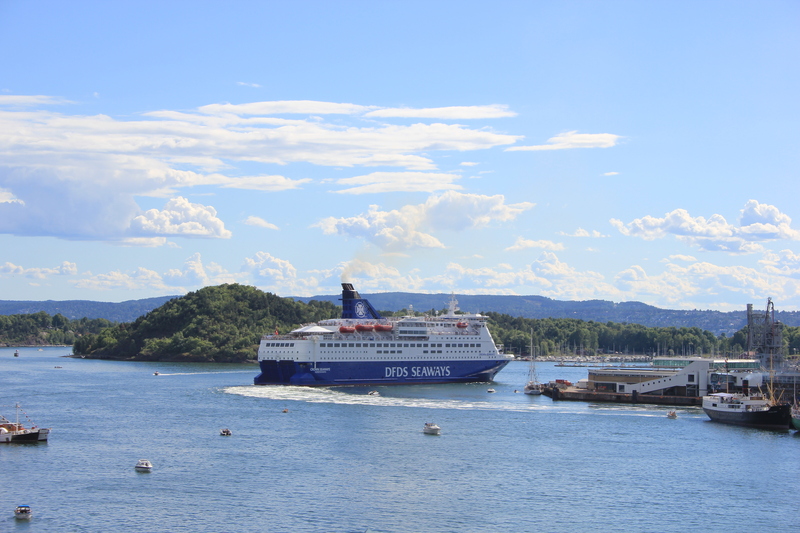 Now it may not look it from this photo, but it happened to be baking hot this day (over 30°C). 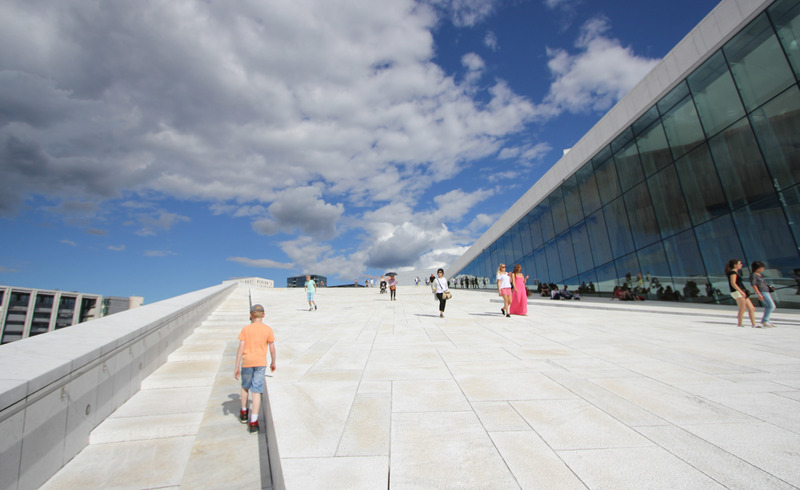 The slope of the roof is ideal to capture the sun, particularly as it reflects off the white stone and glass of the building. Apparently the local residents spread out their towels and sunbathe on days like this. We saw a couple, but expected more. Perhaps it was just too hot. In fact the sun was reflecting at us from just about every angle. Up, down, left, right, we couldn’t look anywhere without a piercing, blinding light melting our eyeballs and baking our brains. The soles of our shoes started to stick to the roof panels. People were spontaneously combusting before our very eyes. We shed pounds in sweat and melted blubber which ran off our bodies and down the gaps in the paving slabs, down the roof, and dripped off the edge and formed oily pools in the water. …and this – you’ll have to excuse Ben in this next photo. One of his eyeballs started to melt and slipped out of its socket – he was just popping it back in quickly. 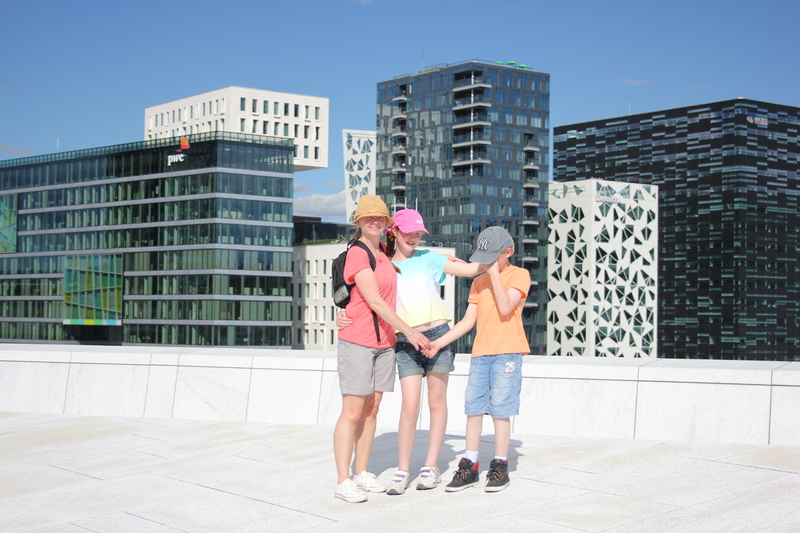 In fact it was so hot that one of the buildings in the background started to float into the air and drift away on a thermal – can you see it? The city skyline, by the way, was absolutely fantastic from here. 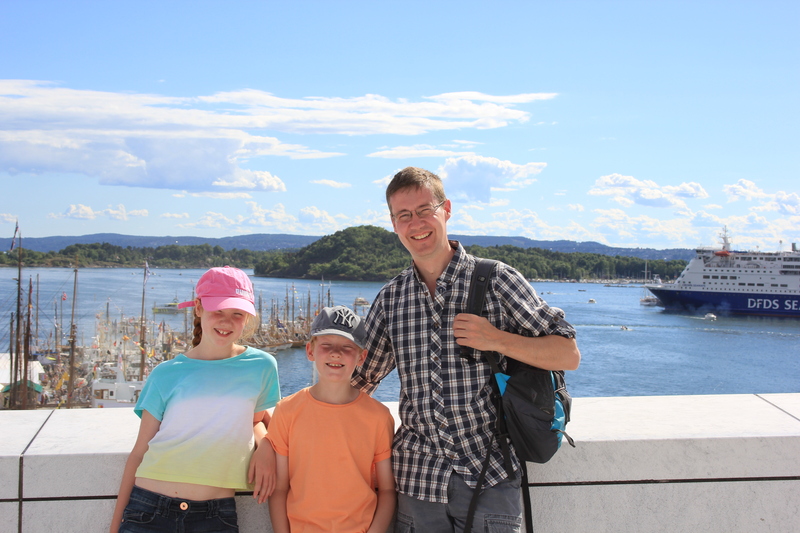 There were also some magnificent views to be had out into Oslofjord. But eventually we could take no more. We started our way back down, trying not to slip in the fatty puddles of people who had melted before us. You’ll have to excuse the state of my wife in the above picture. The glare of the sun started to literally burn holes in her clothes. She was stark naked by the time we reached the bottom, though she didn’t worry about that as everyone had their eyes shut to block out the sun. 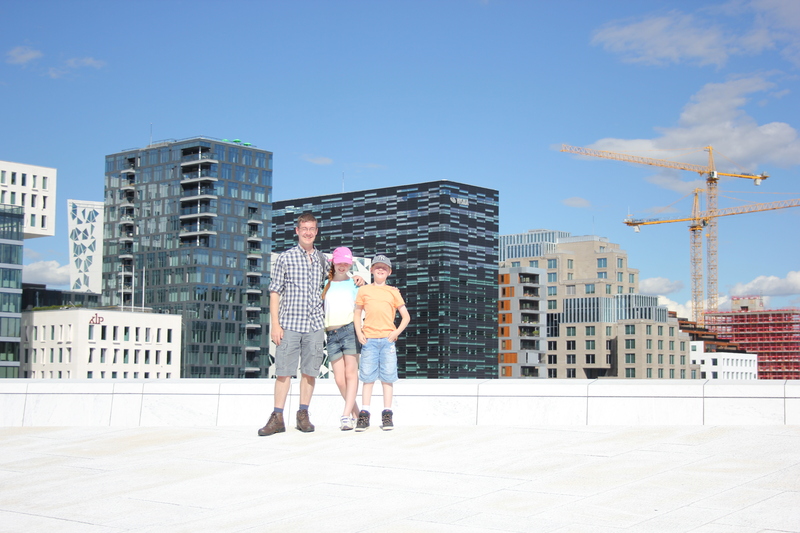 Oslo Opera House – well worth a visit, even if you are blinded in the process. 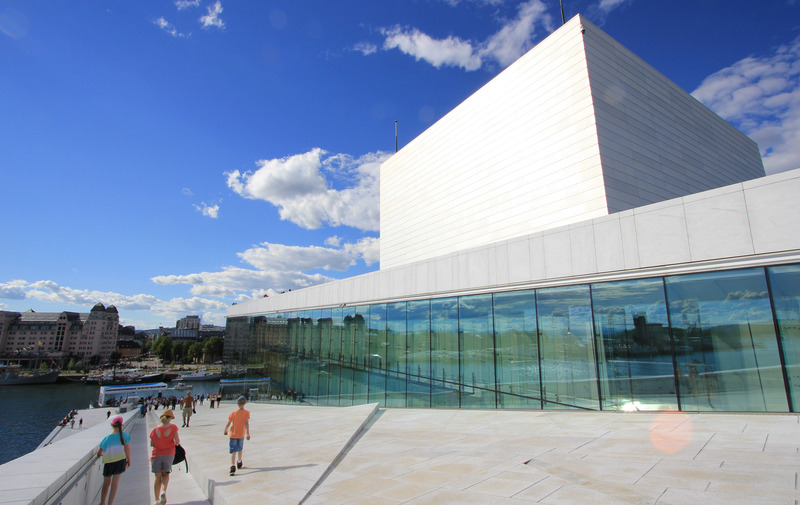 This entry was posted in Norway and tagged Norway, Opera, Oslo, travel. Bookmark the permalink. I love this building and the city! Oh, the perils of the pink-skinned! That clean Scan design has cleverly taken Nordic melting into account, not only saving on outside janitorial costs but doubling as a great place to pick up used clothing. So thrifty. It was rather different weather conditions for my visit : https://www.flickr.com/photos/joncombe/albums/72157674887555591 But I was glad the roof was still open. Hope the coastal walk is progressing well – you’ve been a bit quiet recently! Hi JC – yes, I don’t think the weather could have been more different! Great photos. Don’t you love those office buildings?